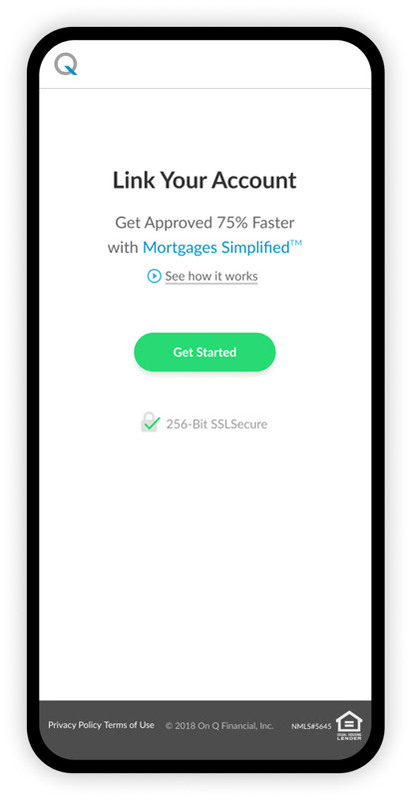 Our new way of getting a mortgage allows you to ditch the paper work and say hello to a much simpler and faster home loan process. A Better Process. A Faster Approval. 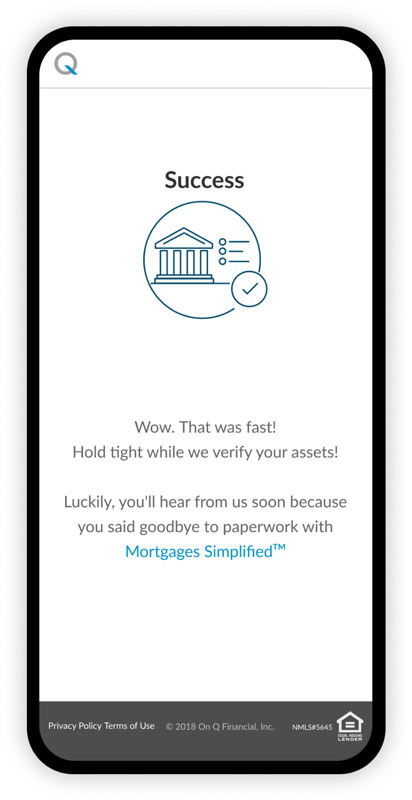 We’ve built an automated process that allows you to submit your asset, employment, and income information all through your phone! Now you can avoid the hassle of gathering all your bank statements, W-2 forms and paystubs. Mortgages Simplified™ can cut your processing time down by four to seven days so you can get into your home that much faster. You’ll access our ultra-secure web link. Don’t worry, we know your security is mission critical, and with 128-bit end-to-end encryption, your data is safe with us. 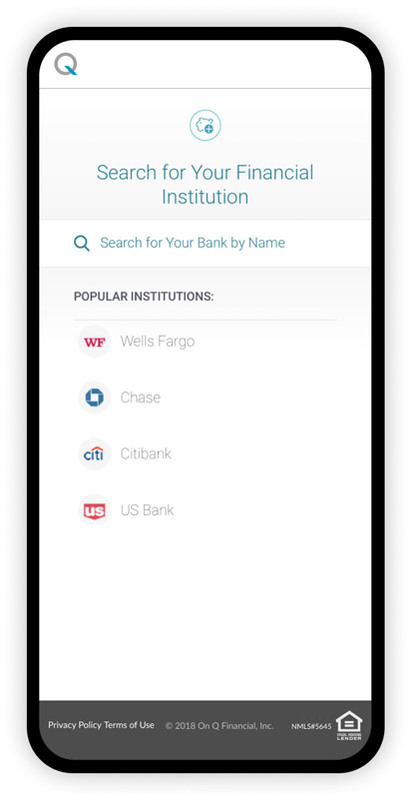 Find and link your bank accounts to share your assets in less than 60 seconds. Your assets will be digitally verified! Pre-Qualification is one click away!